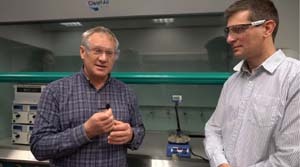 Professor John Blacker, Head of the iPRD commented “Our continuous stirred tank reactor design overcomes the limitations of tubular flow chemistry systems, most notably the fReactor allows both single and multiphasic reactions to be carried out across a range of residence times”. He added “With the fReactor, just add a hotplate and pump and you are ready to start investigating flow chemistry experiments. 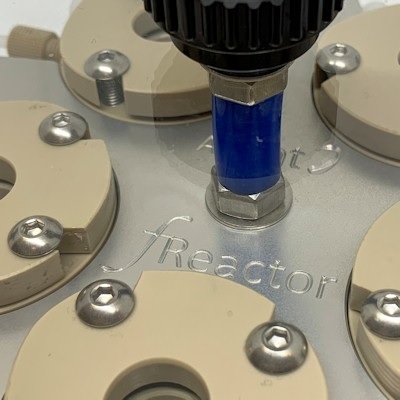 Because of its’ low price and total operating volume of just 10ml, the fReactor is an ideal device for laboratories wanting to evaluate the many advantages of small-scale flow chemistry”. The fReactor platform comprises of 5 modules, which combine to give a reaction zone delivering a good residence time distribution. 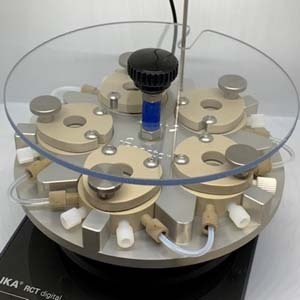 These interconnected modules are located on a metal heat-transfer baseplate which sits on conventional laboratory hotplate-stirrer. or contact Asynt on +44-1638-781709 / enquiries@asynt.com.